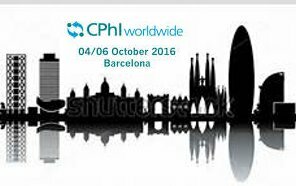 CPHI is coming, one of the most influential and important congresses on Pharmacy. Last October, this event got to attract more than 2,500 companies from the Pharmacy field and 36,000 experts from 153 different countries who met up in Madrid. This year Barcelona welcomes the event and we are sure it will be even more successful exceeding last year goals. Our team is already in charge of many different proyects we colaborate with in order to accomplish our usual success. In case you have any staff request, do not hesitate to contact us.